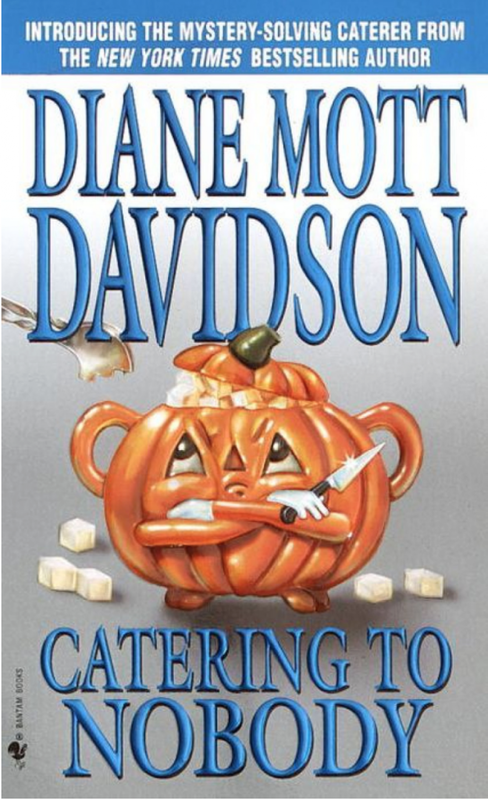 I’m a huge fan of cozy mysteries. 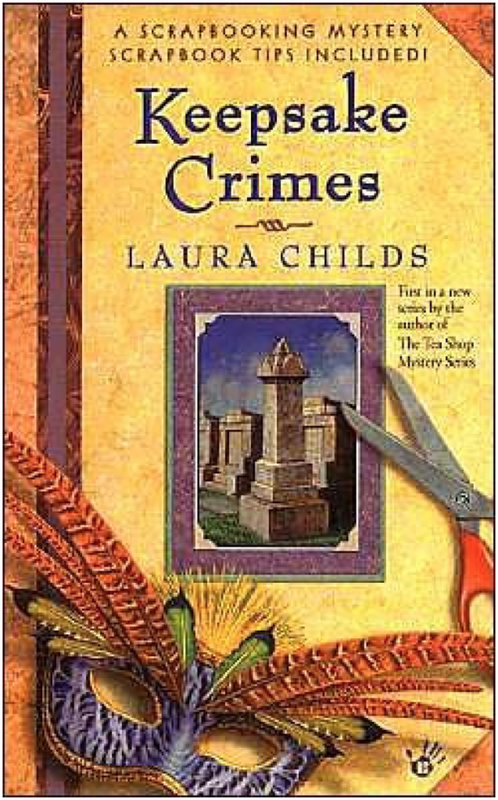 You know I love a good mystery and cozy mysteries are so easy to get hooked on. 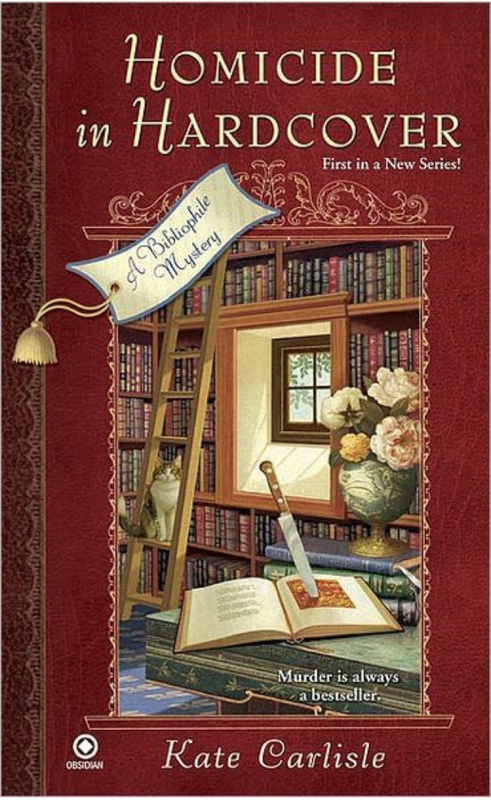 I define cozy mysteries as mysteries that take place in towns we could live in with people who could be our friends. 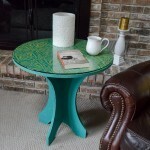 They can center around a knitting circle, a bookshop, or a hobby. The murders don’t tend to be gory and they always get solved. You really get to know the characters over the course of the series. 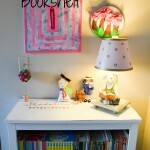 Sometimes the book includes recipes or patterns. I turn to them when I need some light reading and with summer coming, I’m imagining sitting in the yard in the sunshine with a good book while the girls run around. 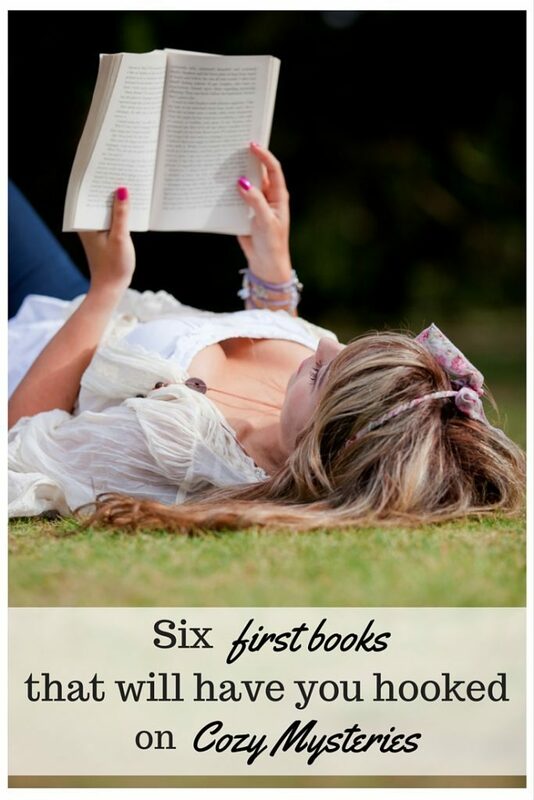 I thought it would be fun to share six first books that will have you hooked on cozy mysteries. I’ve read many of the books in these series and can’t wait to get caught up on the latest! 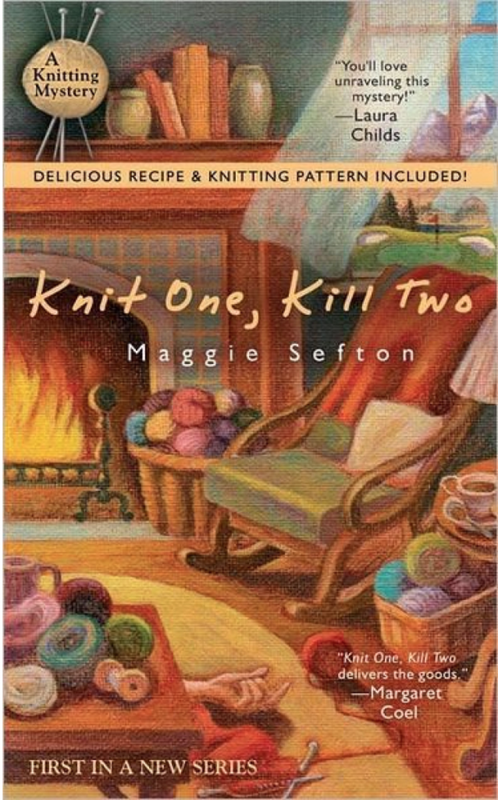 One of my all-time favorite cozy mystery series is the Knitting Mystery series by Maggie Sefton. They center around Kelly Flynn and the House of Lambspun. Kelly flies out to Colorado for her aunt’s funeral and discovers that her death was a deliberate murder. She spends much of her time getting to know the regulars at the new House of Lambspun, and with their help, solves her aunt’s murder. I adore this series. I love the description of the cottage, yarn shop, and town. 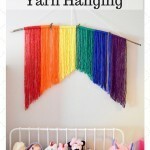 I actually found myself jealous of the knitting circle! The descriptions of yarn and how Sefton weaves projects with the mystery are just fantastic. She creates a lifestyle that I can only dream of. Read the first book and you’ll be hooked! 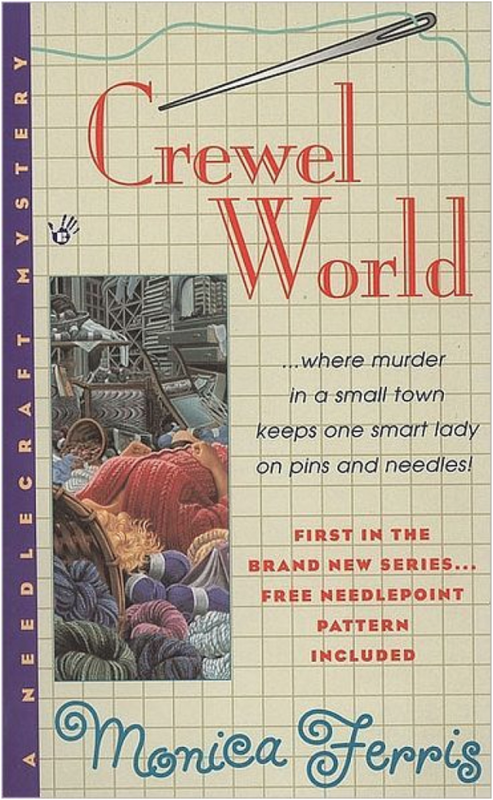 I was so excited to find a cozy mystery series that centered around needlework! Betsy Devonshire has no idea how to thread a needle, but when her sister is murdered in her needlework shop, Betsy takes over. 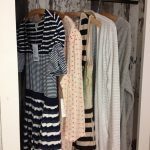 She learns how to stitch, run a shop, and solve a murder at the same time. I’ve idly thought about attempting a craft store and I love this take on throwing someone who didn’t necessarily want to be there into the thick of running an already successful shop. Ferris includes patterns in her books. Boooooks! 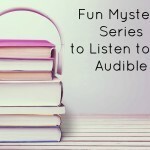 It was really fun to discover a cozy mystery series that centered around books themselves! 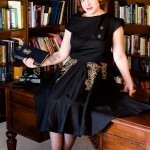 Brooklyn Wainwright is a rare book expert living in San Francisco. She discovers her dying mentor and finds herself accused of murder and theft, all while trying to figure out what he meant by the cryptic message he gave her with his final breath. These books are a fun peek into the book restoration world and it’s neat to recognize the places in Wainwright’s adventures. Have I mentioned that I would love to run a bookshop one day? Penelope Thornton-McClure does just that. When a best-selling author dies at a book signing in the store, McClure discovers that her shop is haunted by a private investigator who was murdered there 50 years ago–who just so happens to be the inspiration behind the murdered author’s book. 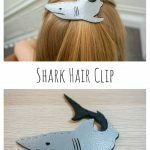 It’s an unusual crime-solving duo, but they make a great team! These books are cozy mysteries at their finest. If you’re looking for a scrapbook murder, this series is for you! Carmela Bertrand runs a scrapbooking shop and is known in New Orleans for her fantastic layouts. She’s enjoying Mardi Gras with her friends when a float comes to a stop in front of them with a dead man on top. Bertrand’s ex-husband is accused of the murder and even through they’re estranged, she doesn’t believe he did it. These books go into detail about life in New Orleans and there are a lot of great scrapbooking tips. 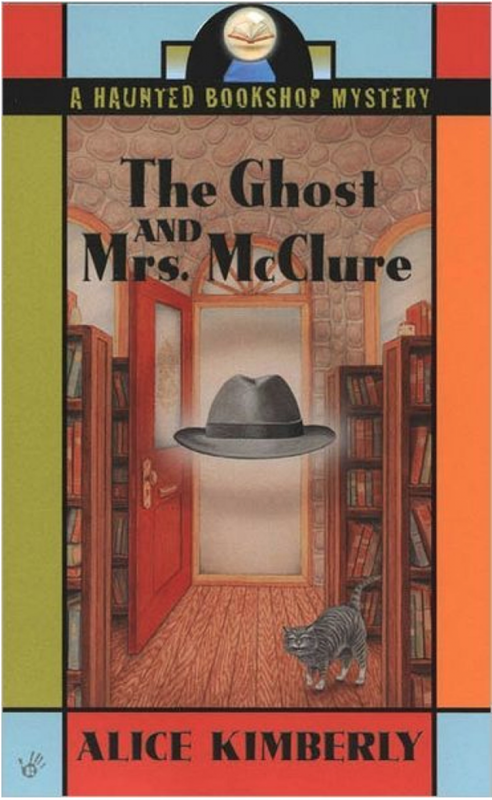 My introduction to cozy mysteries was with this book. Goldy Bear is a caterer living in Chicago. She’s hired to cater a wake but when her ex father-in-law drinks from a poisoned cup, she finds herself being shut down by the police. Goldy sets out to clear her name and get her business reopened. These books include recipes, and yes, I’ve made some of them! Cozy mysteries are my favorite for a relaxing day at the beach, reading on a flight, or just hanging out at home after a long day. They don’t take a lot of energy and are a lot of fun. With recipes and projects to try in a lot of them, your enjoyment can continue after you’ve solved the mystery! These six first books will have you hooked on cozy mysteries!